The first day of my O-Bon holiday was sunny (!!!!) so we took Hana to African Safari. It was the first time I’d been there but I really enjoyed it! 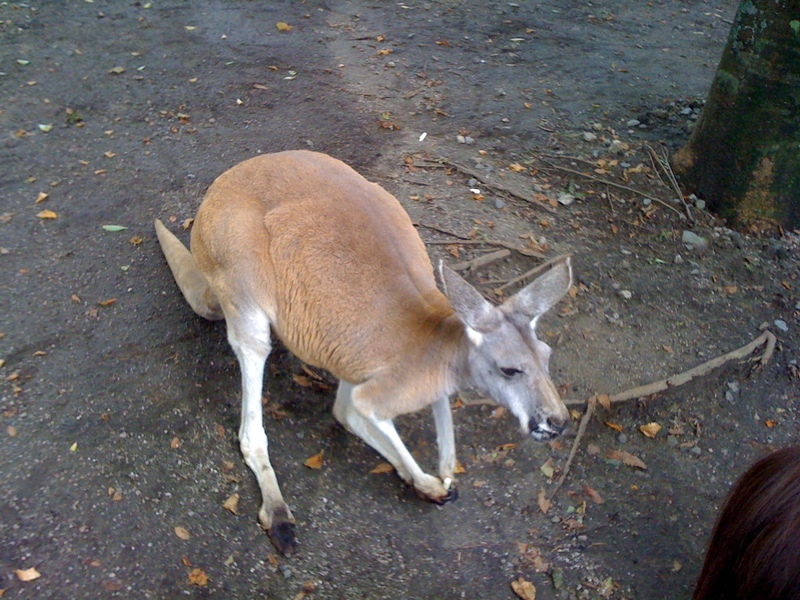 First of all we went into the kangaroo area (we were waiting for our ‘jungle bus’). They look very ‘human’ ….. and were funny too. People tried to feed them but most of the kangaroos weren’t interested!! 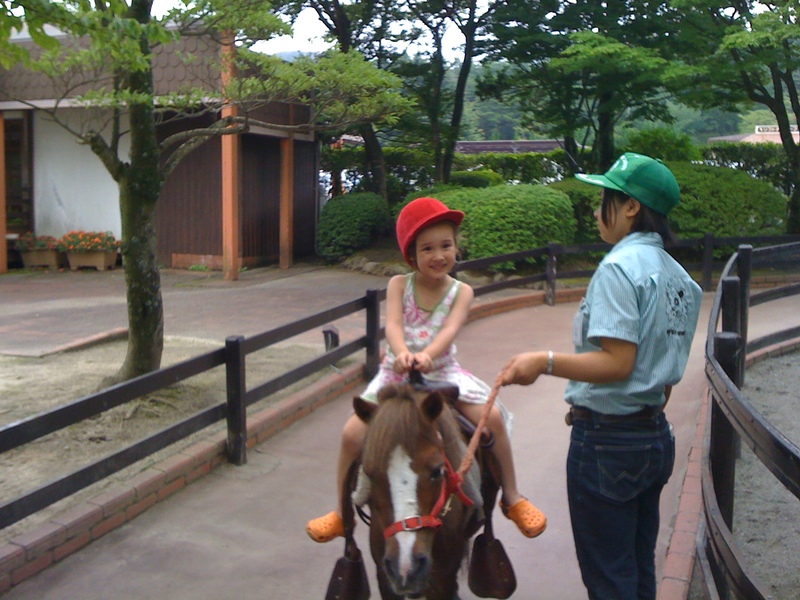 After a walk around we were still killing time so Hana went for her first horse (pony ?? donkey ??) ride. She was a bit nervous at first but was soon enjoying herself!